Is it time to give your car an upgrade that will make heads turn? Have you been thinking about the many ways you could turn heads? What about with a set of custom rims? Custom rims are a great, new feature every BMW owner should want. Why not make your dream become a reality with the best German auto repair team in Denver? BMWs are beautiful cars. If you own a BMW, it’s time to make it everything you’ve ever wanted. 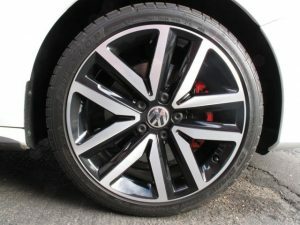 Do so by enjoy the many great advantages of having custom rims installed by Avalon Motorsports in Denver. It’s time to turn heads. The best way to do that is by making a statement. Having a car that is everything you’ve ever wanted and more is sure to do just that. With custom rims on your sweet ride, there will be no easier way to show the difference between your car and your neighbor’s. With unique rims, every head will turn and you will be making a statement, an unforgettable one at that. If you want to give your BMW a makeover, there’s no better way to do so than by installing brand new custom rims. Sure, you could get a new paint job, but rims are much more affordable, and you’ll achieve the same results: A new look. Although a new set of custom rims won’t make much of a difference during an auto accident, it’s important to understand other forms of safety. If your BMW gets stolen, you’ll have a unique twist on car identity. Although it’s not likely your car will get stolen, if it does, you’ll be prepared with a very unique description. Contact us online today to learn about custom rims! Although there are a variety of different features a set of custom rims can provide for you, it’s important to keep in mind the look of your vehicle will change drastically, for the better, of course. We want you to feel great in your BMW. To learn about your upgrade options, please reach out to us! We have the talent, experience and products you want your BMW to have. In the meantime, we welcome you to take a look at the incredible services we provide all of our customers. From small upgrades to big changes, give Avalon Motorsports a call. We have what it takes! Make an appointment with us online today.